Discount parking for Lincoln Center is available at the following parking locations. 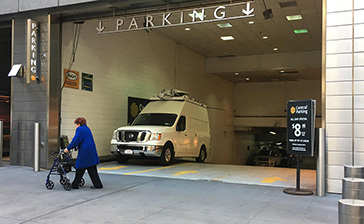 Click on a location address to print your NYC parking coupon with special discounted rates (including tax) for any 6, 12 or 24 hour period. A parking coupon is required to receive these special Lincoln Center parking rates so be sure to bring one to the garage. Celebrate the holidays with a popular NYC tradition! On Nov. 27, 2015 - Jan. 3, 2016 the New York City Ballet will perform George Balanchine's The Nutcracker at Lincoln Center. Watch the toy soldiers and sugar plum fairies come to life through Tchaikovsky's unforgettable melodies. Lincoln Center is a performance arts complex located in the Lincoln Square neighborhood of Manhattan. 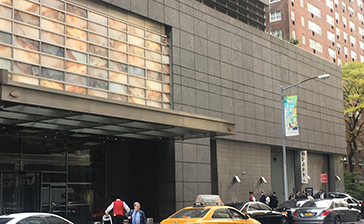 The Center's three main buildings: the Metropolitan Opera House, Avery Fisher Hall, and the David H. Koch Theater, offer approximately 30 indoor and outdoor performance spaces which includes Alice Tully Hall, David H. Koch Theater, and Josie Robertson Plaza. The complex is home to eleven performance arts groups, most notably the New York City Ballet, New York Philharmonic, Metropolitan Opera, and Julliard School. 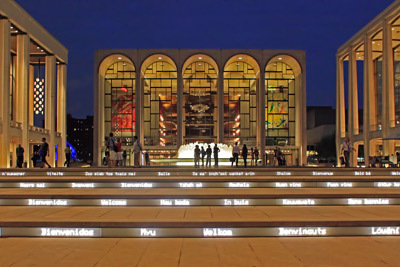 As one of the world's largest performance arts centers, Lincoln Center hosts more than 5,000 events annually, including a Midsummer Night Swing, Mostly Mozart Festival, and the Emmy-Award winning program "Live from Lincoln Center." Nearby attractions include: Central Park, Columbus Circle, the NYC Ballet, The Metropolitan Opera and the Museum of Natural History.